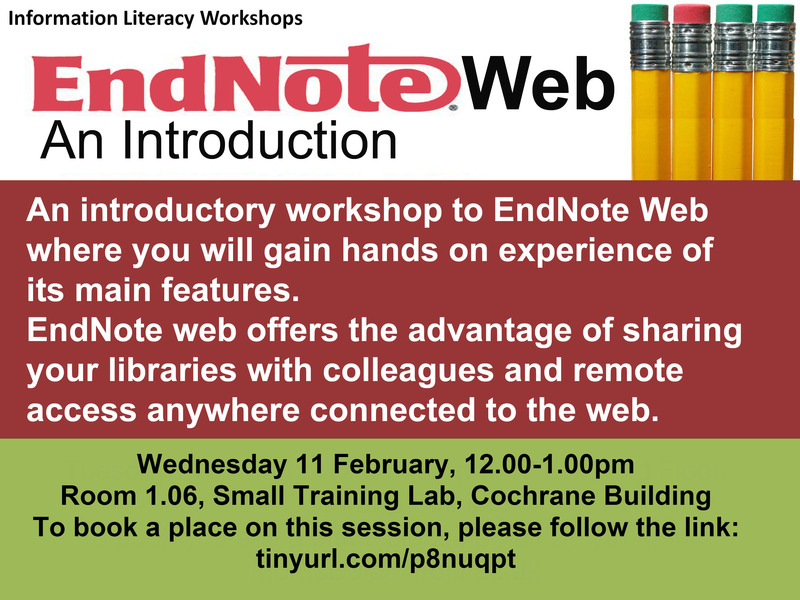 Want to learn more about Endnote web, mobile apps or Prezi? 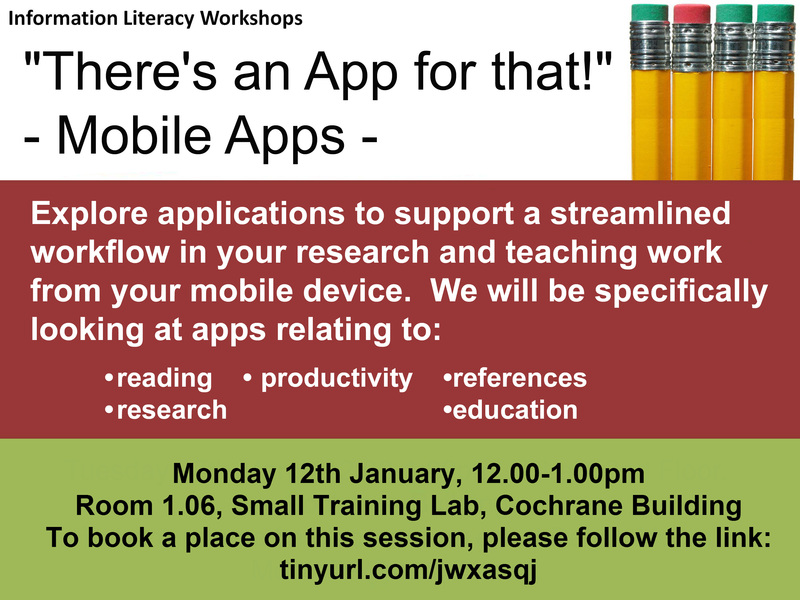 Those are the sessions we are running in January and February for Academic Staff and Research Postgrad students. 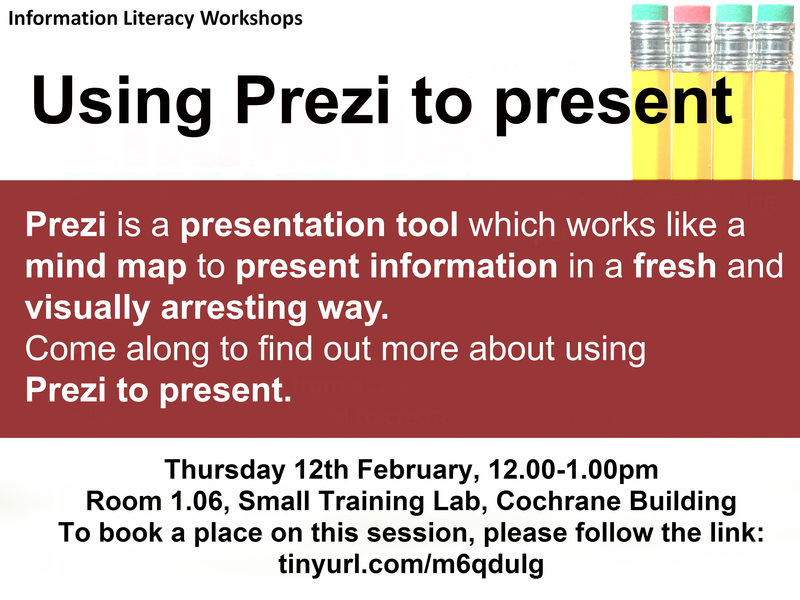 Go to http://www.eventbrite.co.uk/o/health-5349209175 to book your place and see the other sessions we are offering during the year. This entry was posted in training on December 19, 2014 by Lindsay Roberts.